Two seconds for typical acoustic test. Rugged design meets the needs of high volume telephone production testing. Tracking filters follow the applied signals to. reduce or eliminate the background noise of the production environment. Standards compliant to the worlds' major country specifications. Country Kit template test programs contain the test sequence and test setups. Full programmability gives the flexibility needed for the ever-increasing demands for specification testing. TAT can be on or under a workbench, or in a rack. Repeatability and accuracy of all measurements meet the needs of Quality Assurance testing. 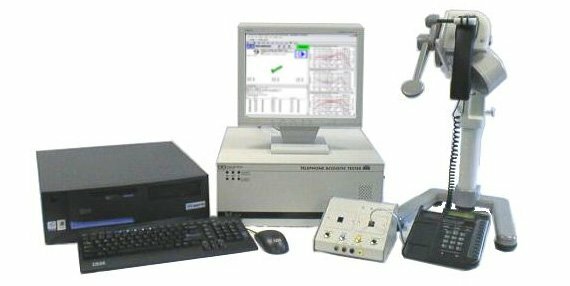 Test results are comparable to conformance and laboratory grade test equipment but at a fraction of the cost. template test programs for Quality Assurance environments. Detailed test results provide confidence that products meet required limits. Assures design specifications are being met by OEMs and ODMs. specifications of the receiving country.